A class project to explore the commercial potential of an ORNL-developed technology has evolved into a full licensing agreement for two students at the Bredesen Center for Interdisciplinary Research and Graduate Education. 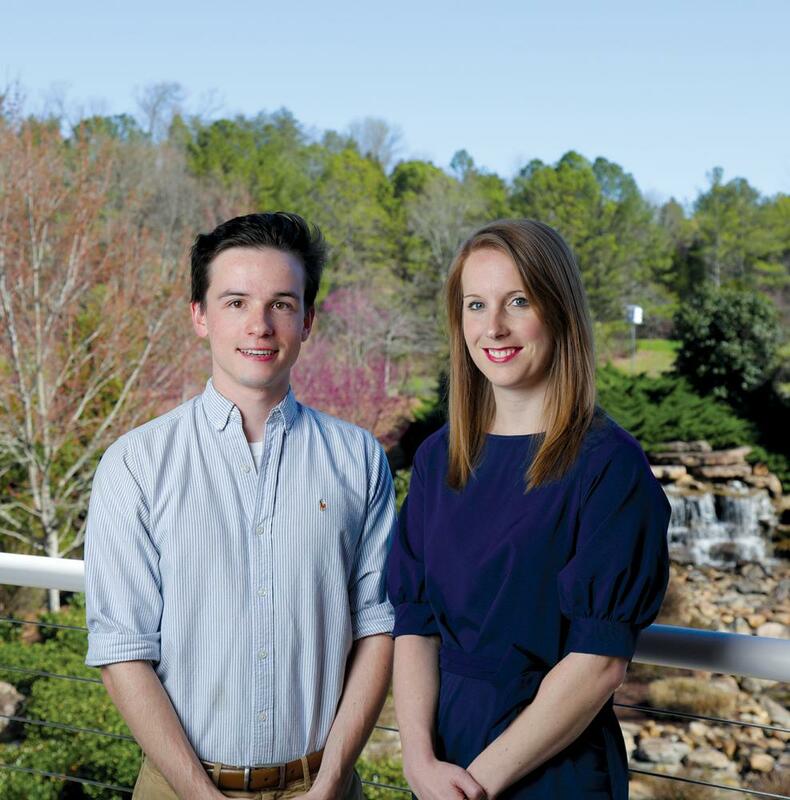 Beth Papanek and Patrick Caveney formed biotechnology startup Nano Elements Source LLC in 2014, after a Bredesen Center class project sparked their interest in entrepreneurship. Paired with TopFive, a Chattanooga-based private equity firm that previously partnered with ORNL on low-cost carbon fiber technology, the graduate students were asked to analyze the economic viability of ORNL’s patented and award-winning quantum dot fermentation technology. The Bredesen Center is an educational partnership between ORNL and the University of Tennessee–Knoxville focused on solving energy challenges through collective science and engineering resources. Papanek and Caveney are graduate students in the center’s interdisciplinary Energy Science and Engineering Ph.D. program, which emphasizes student engagement in policymaking, entrepreneurship and outreach. At the end of their class project, the students pitched their results to TopFive’s founders. The equity firm’s leaders were so impressed that they asked Papanek and Caveney to continue their work through a full patent license deal with Nano Elements Source LLC. Quantum dot particles glow a specific color when hit with different types of light. This signal specificity in semiconductors means greater energy savings and has brought on a new wave of enhanced optoelectronic devices like solar cells, light-emitting diodes (LEDs) and televisions—at a cost. “Think of a Coca-Cola label,” said Caveney, a third-year graduate student studying genetic “noise” in protein production at ORNL’s Center for Nanophase Materials Sciences. “It’s such a distinctive red, and traditional televisions can’t display that particular color yet. “On the other hand, ultra high-definition TVs, which are getting more popular, enhance color, but they’re made with toxic material,” Caveney said. Better options exist, such as a method of using powdery zinc sulfide instead of cadmium to generate the light-sensitive particles for which ORNL researchers won an R&D award in 2006. “Students like Beth and I are seeing problems and are just trying to solve them,” Caveney said. Papanek is focused on expanding Nano Elements’ industry presence while she prepares to defend her doctoral dissertation this spring. “I knew very early on that I wanted to apply science beyond bench work,” said Papanek, a fourth-year student who researches metabolic engineering of microorganisms for biofuel with ORNL’s BioEnergy Sciences Center. "As Bredesen Center students, we've received an incredible amount of support from Tom Rogers and the Partnerships Office to allow us to explore entrepreneurial career opportunities outside of traditional science academia," she said. Caveney agreed. “It’s wonderful that we can do that without leaving grad school,” he said.